Who are North Korea’s 13 Twitter friends? In the past few months North Korea has embraced social media, first creating a YouTube channel, and in August a Twitter account with the name @uriminzok, which roughly means ‘our people’ in Korean. North Korea has since been busy and has already racked up 457 tweets for its 10,334 followers. Pyongyang is however being very selective over who it chooses to follow. As of today it has followed only 13 other accounts. Who are these 13 accounts that North Korea has deemed worthy of following? You might be surprised by the answer. 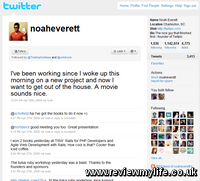 Noah Everett is the creator of TwitPic, the service that makes photo sharing on Twitter easy. North Korea has become a regular user of TwitPic to share photos from around North Korea, as well as political cartoons. To date they have shared 30 photos using the service. Perhaps that is why they have befriended the TwitPic creator. As if to confirm their love of TwitPic, North Korea are also following the official TwitPic account. 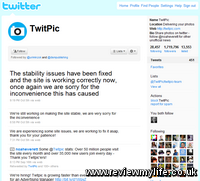 Presumably to keep up to date with the lastest TwitPic features, and API updates. Sidenote: North Korea are also heavy users of TinyUrl on their Twitter account but haven’t become friends with them yet. 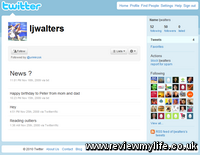 Despite only having 4 Tweets with a combined total of 12 words, ljwalters has managed to get 50 followers including the North Korean account. ljwalters 12 tweeted words reveal a Happy Birthday message to ‘Peter’ and the fact that he/she is reading ‘Outliers’. Still this was enough to grab the attention of the Democratic People’s Republic of Korea, and mark ljwalters as one of the chosen 13. 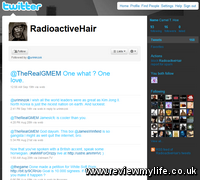 RadioactiveHair is a Twitter user who follows 93, and has 16 followers. This user’s 168 tweets reveal a possible like of ‘Rap’ music. 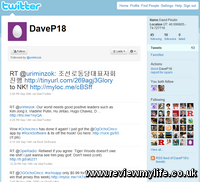 In September this user sent a message to North Korea’s @uriminzok account expressing admiration for Kim Jong Il. They are now Twitter friends. 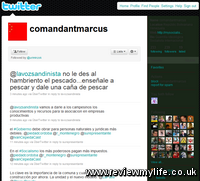 comandantmarcus runs a socialist website on tumblr where he lists ideas for housing, transport, music, alcohol and more. Perhaps the DPRK were inspired by his thoughts, which prompted them to follow him. 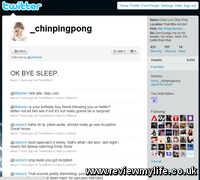 It is harder to understand why North Korea is following _chinpingpong. This user is a very regular tweeter with 9,414 tweets and 191 followers. Recent tweet topics include Inception, music, and The Big Bang Theory (the TV show). This account doesn’t look like an obvious one for Kim Jong Il and the DPRK to follow. But that changed after _chinpingpong retweeted one of @uriminzok messages. North Korea then decided to follow this user. 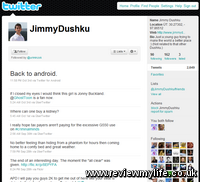 JimmyDushku is another committed tweeter with 2,649 tweets to his name. He is tweeting about life and the news. One of his tweets caught my eye: “Only way things would go better would be if I got my N. Korean visa”. Perhaps this is the reason for North Korea’s interest in Jimmy. Maybe they want to ensure that his visa is successfully obtained, and that he has a good time when he visits. DaveP18 only has 13 tweets, but two of them reference uriminzok. Other tweets reference Tiger Woods, the App Store, and Vladimir Putin. Seems that was good enough for Pyongyang. ________T__ (if that is his real name) only has two tweets in his account. The first is a retweet of a tweet from uriminzok. The second is thanking uriminzok for following him. “It is an honour” he says. 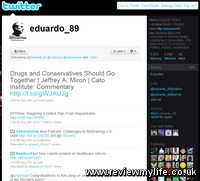 eduardo_89 is a student from Mexico living in Berlin who is interested in politics, economics, history, architecture, and photography (it says this on his website). The link between him and North Korea seems to have started on September 14th when he sent a tweet to uriminzok asking how to get a visa to visit. uriminzok tweeted back the advice that this can be arranged at the embassy or consulate mission to the DPRK and that “Pyongyang always welcome you”. They have been mutual followers ever since. Sidenote: If you want to visit North Korea there is nothing stopping you. The government run tours of selected sites, and as long as you are happy to be followed by their guides 24/7 and do what they say, you should have no problems. Wikipedia has an article about tourism in North Korea here. khomeninja tweets about Obama, Palin, and politics. Maybe Pyongyang appreciates the political opinions offered by this user’s 173 tweets. 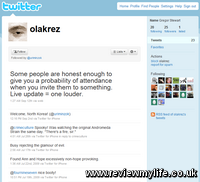 olakrez has produced 23 tweets so far and is mostly tweeting about what he/she is doing. Nothing North Korea related until a welcome message to uriminzok was posted on September 2nd. uriminzok returned the favour by following olakrez. qwertyvn lists their location as Vietnam, and sends uriminzok a message announcing that their countries are friends on September 3rd. And according to Twitter they are! qwertyvn has only had time to post three messages but two of them reference North Korea’s official Twitter account. Can we learn anything about North Korea’s secretive regime from who it is following? I don’t think so. I’d guess that when they set up their Twitter account, they just followed the first bunch of people who tweeted messages to them or about them. Maybe at some point they’ll clean up the list and follow a different group of people who better reflect the political opinions of the DPRK. 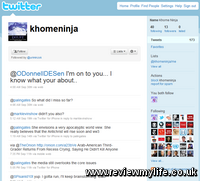 If you want to be updated by Twitter when new posts appear on reviewmylife you can follow me at @reviewmylifeuk.